Nash—but it’s something that I never even thought about when I included that automotive detail. 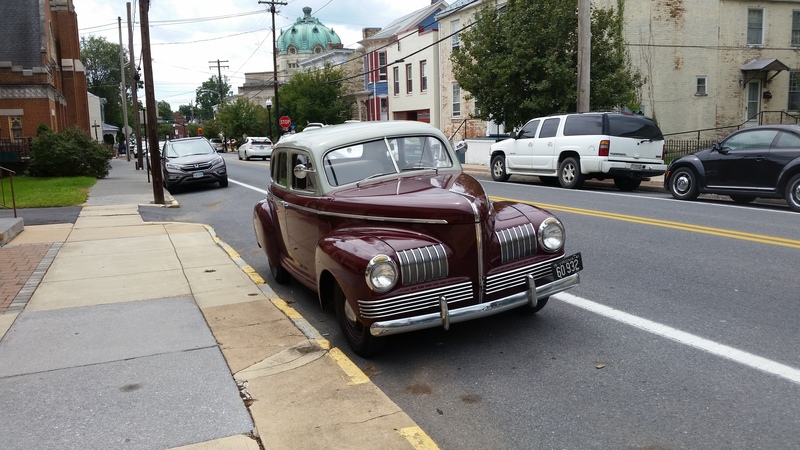 In any case, what brought me to downtown Winchester was the pursuit of more details for the sequel to The Secret of Their Midnight Tears, specifically June 1-8, 1943. I ventured to the Stewart Bell Archives Room at Handley Library and found the microfilm that I needed from the Winchester Star. Combing old newspapers is fascinating for several reasons. The ads are always fun. Tomatoes were $.22 per pound and there were ads for Marvels cigarettes and Spur, “The Cola Drink.” I have never heard of these last two products. The copy for the movie ads are either dramatic or hilarious, at least to me. The June 5th ad for The More The Merrier starring Jean Arthur, Joel McCrae, and Charles Coburn, read, “Can they put a ceiling on ‘that old feeling’? Don’t give it another thought . . . They’ll never ration romance!” The movie, which plays on TCM is about the housing shortage in Washington, DC. The Andrews Sisters were starring in How’s About It, which not even I knew was ever produced, and virtually every star at Paramount appeared in Star Spangled Rhythm including Bob Hope, Bing Crosby, Veronica Lake, Paulette Goddard, Dorothy Lamour, and about 20 other very big names of the day. Featured songs include “That Old Black Magic,” “Hit the Road to Dreamland,” and “I’m Doing It For Defense.” This last is sung by Betty Hutton who is fast becoming one of my favorite performers from that era and probably deserves a post of her own. Of course, there were the news stories, many of which were grim then and now. Striking coal miners were threatening the war effort and bringing threats upon themselves from President Roosevelt, while black ordnance workers in St. Louis were refusing to work under white foremen. The Allies were close to invading Italy (which would begin on September 3rd). Another war-related headline proclaimed, “Warsaw Ghetto Nearly Wiped Out By Germans.” The sub-headings noted that 2,000 had been shot, 3,000 had died in the flames, and 14,000 had been “deported.” We now know what being “deported” from the Warsaw ghetto truly meant. The Zoot Suit riots in Los Angeles were covered, one headline proclaiming, “Sailors, Soldiers Strip Zooters of Bizarre Clothing.” Yes, the Cherry Poppin’ Daddies’ song details a real event. Perhaps most interesting was a small, page-two article by the Associated Press that was no more than 5 column inches long. Headlined, “Axis Warns of Invasion Costs” the article led with the fact that “German Army experts, taking a long and careful look at the chances of [an] Anglo-American invasion of Europe, acknowledged today that such landings might be carried out successfully, but only at heavy cost to the invaders.” Those experts felt that a Mediterranean invasion point, or certain points in Norway would most likely be the target. The date was June 3, 1943. One year and three days later, the German Army experts were proven correct in at least their first assertion, and the story would be front-page news all over America. 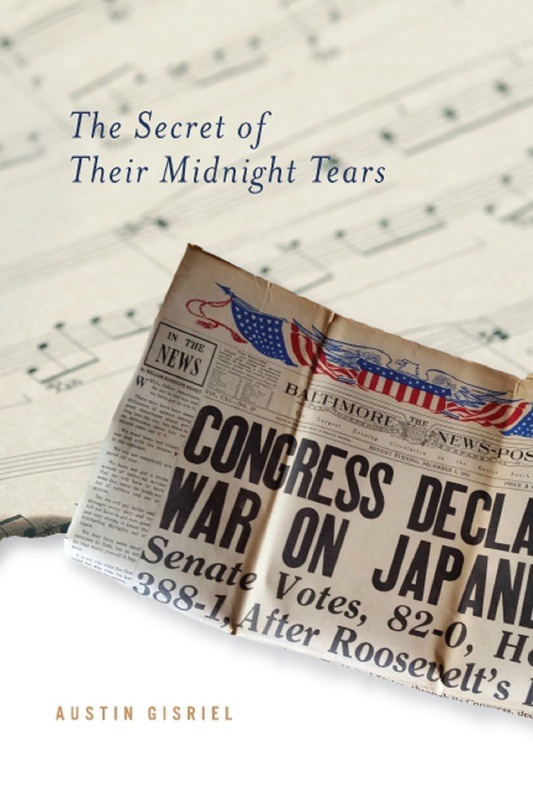 To purchase a copy of The Secret of Their Midnight Tears, please click here. Thank you! This entry was posted in Uncategorized, World War II. Bookmark the permalink.